Tech experts have predicted that smart watches are going to be the breakout product categories of 2014. The first smart watches are now available to consumers with the next generation being shown off at CES 2014. But what is it like to use a smart watch, what should they do and should you buy one? I was fortunate enough to get my hands on the Sony SmartWatch 2 to review. The design of the Sony SmartWatch 2 is quite impressive. 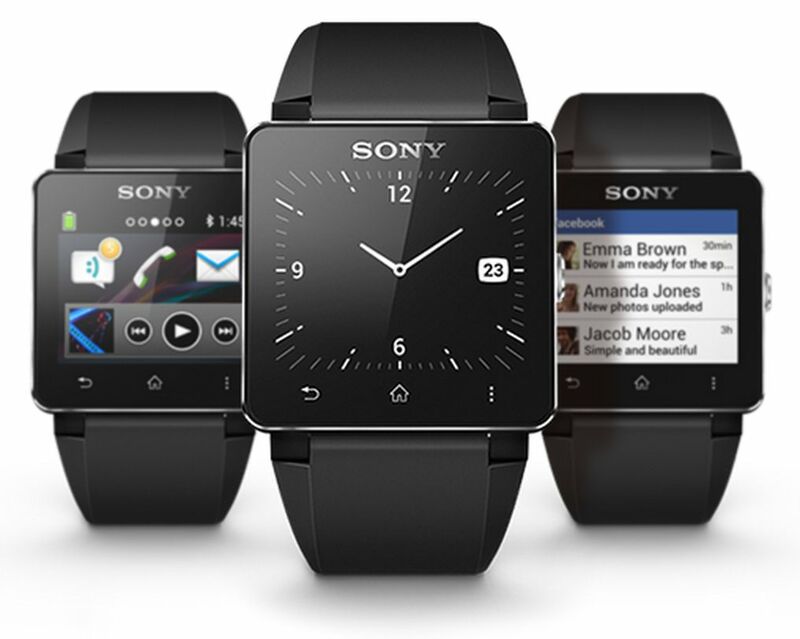 With its square face, rounded corners and chamfered edges, the Sony SmartWatch 2 is a sleek device with a premium feel. It was definitely noticed when it was on my wrist and the majority of people who saw it became quite curious when they found out that it was a smart watch. So basically you can safely wear it in public without worrying if you look like an idiot. Perhaps the most important feature of the SmartWatch 2 is its screen. And while the screen is bigger and brighter than the one found in the original Sony SmartWatch, I did wish it had a slightly higher resolution. Despite this, the SmartWatch 2’s screen is usable in most lighting conditions (including outdoors in bright sunlight) and manages to always stay on while conserving battery. Battery life on the SmartWatch 2 is another plus. When I first unboxed the SmartWatch 2, its battery was about 65% full but still lasted me a good three days before needing to be recharged. The SmartWatch 2 charges via a micro USB cable which is quite convenient. It should be noted that the SmartWatch 2 is also water resistant. So if you ever wanted to check Twitter while you’re in the shower, this is the device for you. Setting up the SmartWatch 2 is relatively simple as it pairs with any Android phone running Jellybean and above through NFC or Bluetooth. Unfortunately the Smart Watch 2 is not compatible with iOS devices. Once the devices have been paired, you are prompted to download the Sony Smart Connect app on your phone. The app allows you to find, link and control a number of other apps that have been specifically designed for the SmartWatch 2. Through the Smart Connect app, the SmartWatch 2 can be linked to your phonebook, dialer, music player, SMS messages, Twitter, Facebook and various fitness apps like Endomondo and Runtastic. There are roughly 300 additional apps that you can be downloaded for the SmartWatch 2. The majority of these apps are lightweight and free but there are a few apps that offer very similar functionality. Still, these apps add additional functionality to the SmartWatch 2. The experience of using the SmartWatch 2 will vary based on your expectations of what a smart watch should do. Smart watches are set to become an increasingly important product category in the next few years but it is still a product category that needs to be better defined by device manufacturers. The interface of the SmartWatch 2 should be familiar to anyone who has used an Android phone. You can swipe through installed apps and the SmartWatch 2 even has the standard back, home and options buttons found on most Android devices. The SmartWatch 2 primarily acts as second screen that allows you to view notifications on your wrist and perform basic tasks like controlling your music without the need for taking your smartphone out of your pocket. The notifications that pop up on your wrist can make it easier to spend less time looking at your phone, which is good. However, it’s very easy to become inundated with notifications depending on which services you link with the SmartWatch 2. Messages and social media updates can be problematic but the settings for these apps can also be tweaked to improve the experience. There are a few snags. The SmartWatch 2 does well with text based notifications but struggles with updates or emails that are image heavy. Your wrist will ring when you get a phone call but you can’t answer the call or speak into the watch. These are not faults per se but maybe just missed opportunities. I have no doubt that these features and capabilities will be included in either future iterations of the Sony SmartWatch. You can already find them in competing products like the Samsung Galaxy Gear but at a slightly higher price point. The smart watch is a product category that currently doesn’t have mainstream appeal but this is will likely change over the next year or so. If you are an early adopter or love the idea of smart watches, then the Sony SmartWatch 2 is a definite contender. It is well designed, compatible with a wide range of Android phones and is supported by a number of specially designed third party apps. On the spectrum of available smart watches that are currently available, I would say that the SmartWatch 2 fits in between the Pebble and the Samsung Galaxy Gear in terms of price, battery life, device compatibility, build quality and apps. If you are in the market for a smartwatch, I would recommend that you look into these three products and see which one suits you best based on your individual needs. Wow. So watch. Much app. Very photo. Wow. Cool Review! Liked the Orange Store. They’re selling the Nexus 5 for R6,450 & that’s pretty good.